Life’s True Face is what we are underneath. Who we are inside. We are first the bone, then the flesh. 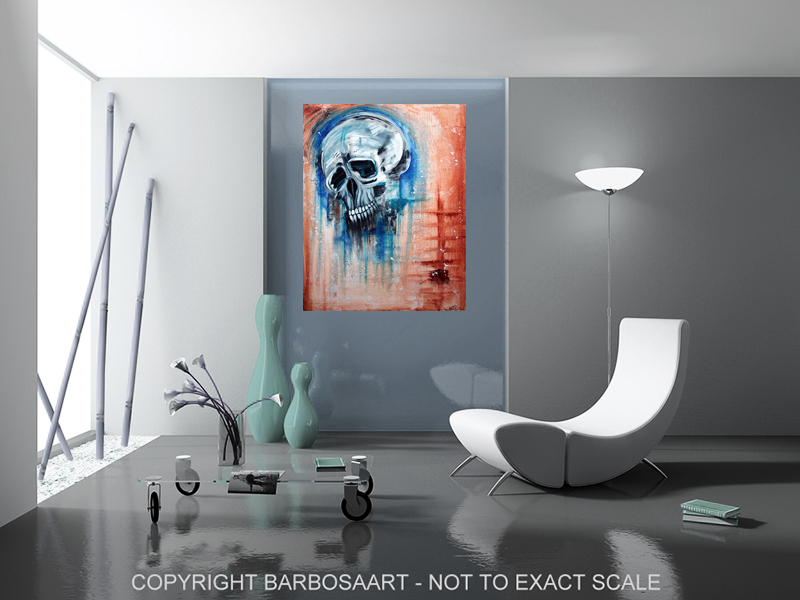 A skull can tell a life story and this artwork is a celebration of life. 24 × 30″ Acrylic and Plaster on Canvas.